So glad you’re back to learn more about WonderFil’s DecoBob Prewound Bobbins. Yesterday, I wrote about how well DecoBob threads blend with fabrics. Today, I’ll share my experiences with the strength of DecoBob thread as I show you a quilt block that’s done by foundation piecing. Since we started the week myth-busting, here’s another myth I’ve heard: lightweight, thin threads like DecoBob are not strong due to their smaller size and weight. Let me assure you that it is strong. Its strength comes from the fact that it’s a poly thread. I thought that the easiest way to show you how strong DecoBob threads are would be to do a foundation-pieced block. To do this demonstration, I decided to use regular, everyday white paper that you can find in any home printer or copier. I also put DecoBob thread on a spool holder to ensure that the 80wt thread would show on the paper side of the block. 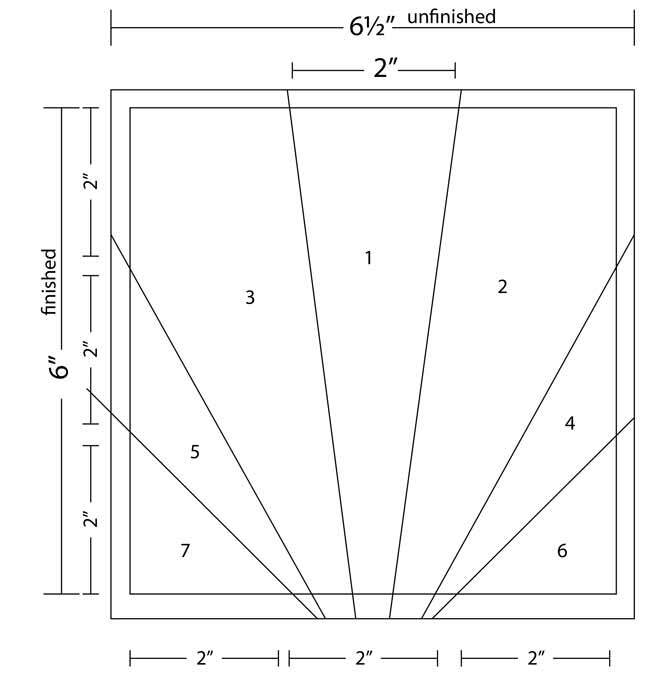 Note: Should you need a refresher on foundation piecing, you may wish to have a look at this QUILTsocial blog post. As for any foundation block, I reduced my stitch length to an approximate stitch length setting of 2. I admit that I’m not gentle when it comes to removing the paper from a foundation-pieced block. It’s normal that there may be a little slack in the thread due to the relative thickness of the paper. After the paper is removed, the stitching remains intact and neat. Below is a picture of the foundation-pieced block I made using DecoBob’s80wt thread. 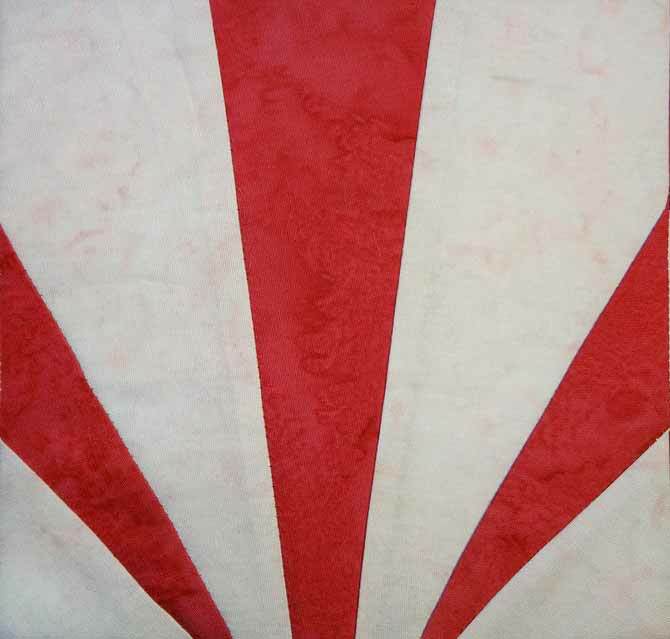 With DecoBob thread you can be assured of constructing a quality quilt block. Now I’ll go back to the sewing machine and construct three more similar blocks to make a small quilt. I hope you’ll come back tomorrow as I continue my journey in the land of WonderFil DecoBob Prewound Bobbins! 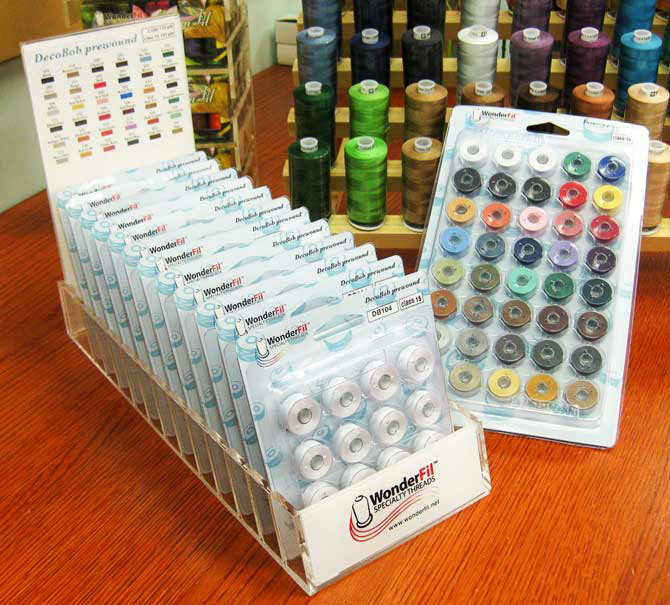 Go back to part 2: Can you really use different thread weights in your bobbin and spool? I will have to look for WonderFil’s DecoBob Prewound Bobbins. I too worry about the threads when I’m tearing the foundation paper off. Thanks for the post. Since I found your blog, I look forward to each post – all so informative and straightforward. It’s renewed my interest in quilting again. I would love to try these prewound bobbins – so many beautiful colors. HI Becky, Glad you like these blogs. they are a wealth of information and tips. GO to your local quilt store and ask for them.